For this last-minute Zombie costume, take an old pair of pants with holes in them and an old shirt, if they don’t have holes make some and take coffee grounds to smear on the clothes to make them dirty along with fake blood. 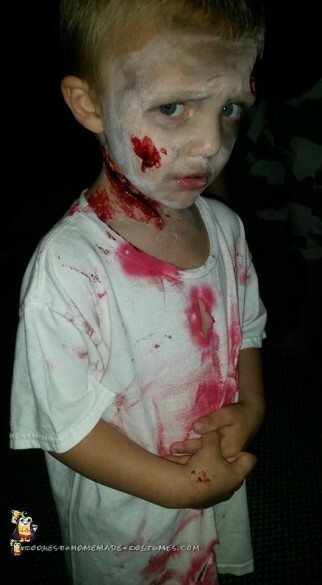 Take elmer’s glue to create scars and other zombie effects along with white and black make up to create a deadly look, but don’t forget to add fake blood to the cuts. Homemade costume idea posted by Nickcole H.